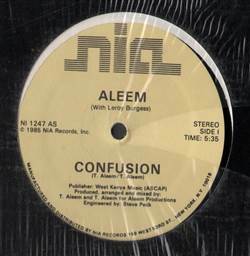 ELECTRO, Nia Records, USA, 1985... Confusion, Confusion (Dub). 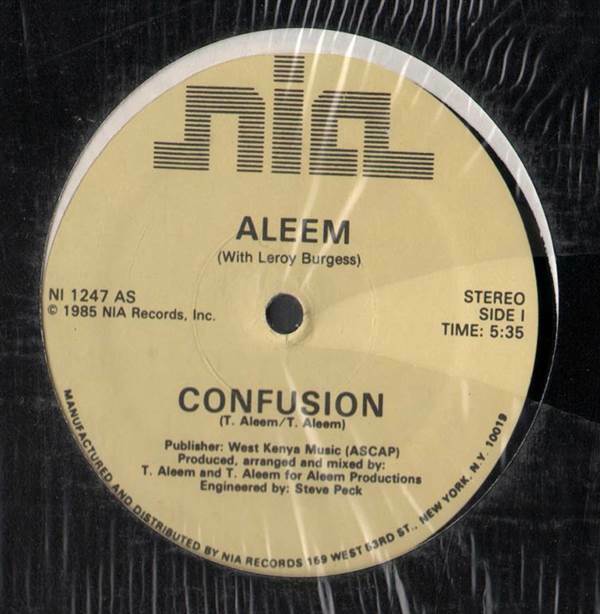 Alexis Atari - In The Mood / Gimme Some Lovin' 12" Ready For The World - Digital Display 12" Afrika Bambaataa & Family - Funk You! 12" Dhar Braxton - Jump Back (Set Me Free) 12"